This is a Chinese name; the family name is Chaw (曹). Gary Chaw (born 9 July 1979 in Kota Belud, Sabah, Malaysia), also known as Gary Cao or Cao Ge, is a Malaysian Chinese singer-songwriter based in Taiwan, who has had achieved success in Taiwan, Mainland China, Malaysia, Hong Kong, and Singapore. He is renowned for his stage presence, wide vocal range, and rich voice. In addition, he composes for himself and other singers. Kota Belud is the capital of the Kota Belud District in the West Coast Division of Sabah, Malaysia. Its population was estimated to be around 8,392 in 2010. 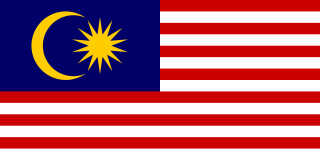 It is roughly at the midpoint of the federal highway connecting the state capital, Kota Kinabalu, and Kudat, near the northern tip of Sabah. The town is considered as the unofficial capital and gateway to the heartland of the West Coast Bajau people. Chaw lived with his grandfather since he was 11 months old as his parents separated when he was 9 months old. He received his early education in Canada when he was 9. 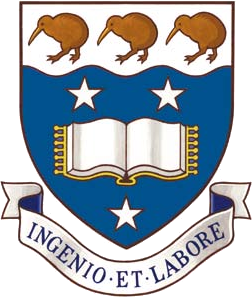 He later went on to continue his studies in Engineering at the University of Auckland in New Zealand. However, he left New Zealand before completing his studies. He can speak Mandarin, Cantonese, English, French, Hakka, Hokkien & Malay fluently. In 2008 he composed and sang a song for the 2008 Beijing Olympics that was released in a Rock records CD called "Far away" (一起飞). The album was titled after the song he composed. Other Rock Records artists that took part include Genie Zhuo, 2moro, Alien Huang, Tracy Zhou. Genie Chuo is a Taiwanese singer and actress. 2moro is a Taiwanese boyband, whose members are identical twins Anthony Guo (郭彥均) and Angus Guo (郭彥甫). The twins are graduates from Taipei Physical Education College. In 2006 Chaw won Hong Kong TVB8's Best Newcomer Singer award. His big break occurred with the release of his Mandarin version of Karyn White's 1988 song "Superwoman". With this song, he won the Best Mandarin Male singer in the 19th Golden Melody Awards. Since then he has released a number of albums. TVB8 was a Mandarin language general entertainment television channel owned and operated by TVB International. Karyn Layvonne White is an American singer who was popular during the late 1980s and early 1990s. She is known for several hit singles including "Superwoman" (1988), "Secret Rendezvous" (1989), "The Way You Love Me" (1988), and the US Hot 100 No. 1 single "Romantic" (1991). 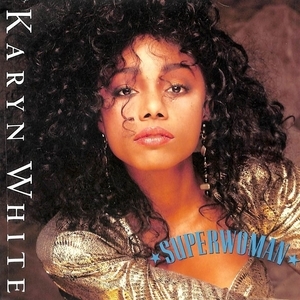 "Superwoman" is a song by R&B singer Karyn White. The song was released from her self-titled debut album in January 1989. It was her second U.S. top ten hit, peaking at number eight and her second U.S. R&B number-one hit. S.H.E is a Taiwanese girl group whose members are Selina Jen, Hebe Tien, and Ella Chen. They formed in 2001 and are managed by HIM International Music. Cyndi Wang is a Taiwanese singer and actress. Wang debuted her musical career as she released her debut album, Begin... (2003). Besides her musical career, Wang has starred in many TV dramas, including Westside Story (2003), Heaven's Wedding Gown (2004), and Smiling Pasta (2006). Ting Hai, a song originally sung by A-Mei, was also a song he sang at a KTV bar in Malaysia in its original key right in front of its composer and arranger, Michael Tu (涂惠源), and he became his reference and supporter to start his career in Taiwan back in 2001. (The other two songs he sang that night was Dark Humor by Jay Chou and Duo De Ta by Faye Wong （Cantonese version of "SuperWoman.) In 2002 Chaw left his home in Malaysia to go to Taiwan with hopes of joining the entertainment show business. He purchased a one-way plane ticket and brought with him only around RM1,600 (about HK$4,000). He tried to get into numerous record companies who criticised him harshly for being ugly and lacking talent. After many failures Chaw became an alcoholic, battled insomnia, unemployment, suffered from severe depression, loss of friends and confidence. He soon hit rock bottom when he attempted suicide by sedative overdose. It was only in 2004 that he was signed by Rock Records when he recovered from insomnia, but his alcohol-fuelled incidents still plagued him until 2013 when he finally decided to give up drinking. Approaching the end of 2011, Gary, along with his producer & teacher, Michael Tu (涂惠源), launched "Project SENSATION" – a new experimental music project or the more appropriately, a new music label. At the same time the band released a limited debut single "All I Have to Do is Dream", solely available in the 1st mini-concert of SENSATION. The new-formed band members included Gary (vo. ), and members from MUSA's: Martin "Musa" Musaubach (piano), Lautaro "LuKa" Bellucca (bass & double bass) & Adriano "Gaofei" Moreira (dr. & per.). In 2012 June, "Gary Chaw Project Sensation 1: JAZZ" released. Soon enough the band started their tour in Taiwan, Singapore, Malaysia and Hong Kong during the summertime. In 2014, Chaw entered I Am A Singer 2, and was the first singer to be eliminated, but returned on the repêchage to finish in the top 5. In 2015, Chaw entered The Chinese version of The Masked Singer, using the mask of Sun Wukong as a disguise, but was instantly recognised by fans online due to his previous performances in other competitions or appearances. He was the first replacement singer, and came second in leg 2, while being eliminated in the first round in legs 3 and 4, meaning he is at risk of being eliminated from the competition in leg 5. In 2008, Chaw married Wu Sou Ling. They have a son named Joe and a daughter named Grace, whose godfather is Alien Huang. In 2014, Chaw and his kids participated in season 2 of Where Are We Going, Dad?. The Ting Hai effect, also known as the Adam Cheng effect, is a stock market phenomenon in which there is a sudden and unexplained drop in the stock market whenever a film or a television series starring Hong Kong actor Adam Cheng is released. It still remains as a popular topic among stock brokers, years after the television drama The Greed of Man was broadcast in Hong Kong in late 1992. The effect is named after Ting Hai, the primary antagonist in the drama, who was portrayed by Cheng. 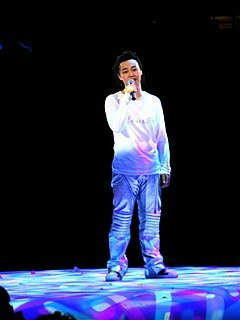 Eason Chan Yick-shun is a Hong Kong singer and actor. Chan was ranked number "6" in the 2013 Forbes China Celebrity Top 100 List. Leo Ku Kui-Kei is a Hong Kong Cantopop and Mandopop singer, actor, TV host, model, cartoonist, MV director, and producer and designer. He employs falsetto as a singing technique and was named as one of the Five Fresh Tigers of TVB. Mandopop refers to Mandarin popular music. The English term was coined around 1980 soon after "Cantopop" became a popular term for describing popular songs in Cantonese; "Mandopop" was used to describe Mandarin-language popular songs of that time, some of which were versions of Cantopop songs sung by the same singers with different lyrics to suit the different rhyme and tonal patterns of Mandarin. It is now used as a general term to describe popular songs performed in Mandarin. Leave is the fifth studio album by Singaporean singer Stefanie Sun, released on 21 May 2002 by Warner Music Taiwan. The song, "We Will Get There" is the theme song of the Singapore National Day Parade 2002. The album earned an IFPI Hong Kong Top Sales Music Award for Top 10 Best Selling Mandarin Albums of the Year in 2002. Fei Yu-ching (simplified Chinese: 费玉清; traditional Chinese: 費玉清; pinyin: Fèi Yùqīng; born Chang Yen-ting, is a Taiwanese singer-songwriter and host. Silkroad of Love is Malaysian Chinese Mandopop artist Fish Leong's seventh Mandarin studio album. It was released on 16 September 2005 by Rock Records. Dave Wang is a Hong Kong-Taiwanese singer and songwriter. His popular hits in the late 1980s and early 1990s include "一場遊戲一場夢" and "幾分傷心幾分痴", "是否我真的一無所有", "誰明浪子心", "忘了你 忘了我", and "安妮" (Annie). Beautiful is Taiwanese Mandopop singer-songwriter David Tao's fifth Mandarin studio album. It was released on 4 August 2006 by EMI Music Taiwan. 格格 Blue is second album and first major album by Gary Chaw, released on 26 January 2006. Jason Chan Pak-Yu is a Hong Kong Canadian singer. He debuted under Sony Music in 2006 and released his debut album First Experience in 2007 and has since released more than 10 albums. He has been dubbed by the Hong Kong media as the music industry's "hidden master" (樂壇隱世高手). Chan has also ventured into film and television, and business, owning two bars in Hong Kong. Fall in Love & Songs is the tenth studio album by Fish Leong. It was released on 16 January 2009 by Believe in Music and distributed by Universal Music Taiwan, and is Leong's first album released under a record label other than Rock Records. Mimi Lo Man-chong, is a cantopop singer, actress, and radio DJ, having released 11 studio albums and appearing in numerous films, television dramas and stage productions, currently affiliated with TVB in Hong Kong. Jeric T, better known by his stage name 陳傑瑞 Jeric, is a Singaporean singer-songwriter and record producer. Jeric is from a family of Chinese opera singers/actors and has been in touch with music from a young age. He was discovered by renowned singer-songwriter, Shaun Yu (永邦), in 2001, in a chanced meeting. After a few months of stint at record studios and production houses, Jeric decided to give up his studies, despite exceptional grades and standing, to pursue a musical career. The Opposite Me is Taiwanese Mandopop artist Jing Chang's second Mandarin studio album. It was released on 9 July 2010 by Gold Typhoon (Taiwan). Mr Alfred Hui Ting-hang is a male singer from Hong Kong. He is a contract-based male artist of Television Broadcast Limited. He has studied Secondary 1 to 5 at St. Joseph's College and Secondary 6 to 7 at German Swiss International School. He holds a bachelor's degree in Dentistry, The University of Hong Kong, and holds dentistry license. His father was the vice-chairman of Hong Kong Kidney Foundation. MUSA's is a musical band led by piano/ keyboardist Martin "Musa" Musaubach. Members combination in MUSA's varies in different live shows. 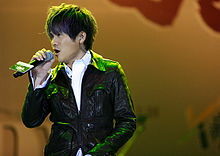 SENSATION is the band title and the music project proposed by the Malaysian Chinese singer and songwriter Gary Chaw with his teacher and the Taiwanese music producer Michael Tu in 2011. As the vocal of the band, he collaborates and performs with the members from MUSA's - with the band-leading pianist Martin "Musa" Musaubach and bassist Lautaro "LuKa" Bellucca from Argentina; and drummer/ percussionist Adriano "Gaofei" Moreira from Brazil. Back to 1989 is a 2016 Taiwanese fantasy, romance, comedy television series produced by Sanlih E-Television. It is adaptation from Huang Xin Jie's (一念間) who won the 6th Television Scriptwriting Award for creative popularity award held by Bureau of Audiovisual and Music Industry Development. It stars Marcus Chang, Ivy Shao, Mini Tsai, Yorke Sun, Ray Yang and Chang Chieh. Filming began on December 28, 2015 and wrapped up in May 30, 2016. First original broadcast began on January 22, 2016 on SET Metro airing every Friday night at 10:00-11:30 pm. ↑ Gary Chaw's reindition of "My Way"
↑ Yesasia.com. "Yesasia.com." 一起飛. Retrieved on 3 April 2010. ↑ Ent.people.com.cn. "Ent.people.com.cn." 曹格成TVB8金曲榜新科霸主 勇夺六项大奖. Retrieved on 3 April 2010. 1 2 3 4 5 6 7 8 Sina.com. "Sina.com." 曾吃唱片公司閉門羹 曹格重遊傷心地憶述奮鬥史. Retrieved on 3 April 2010.